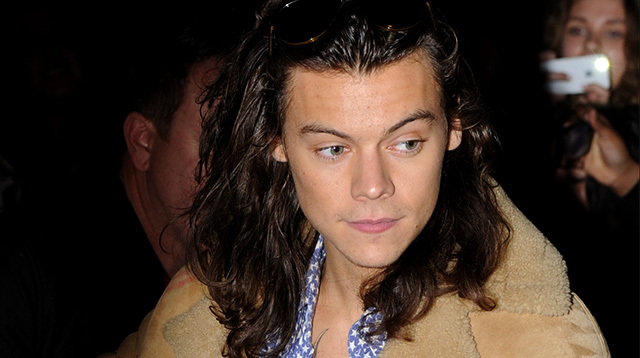 One Direction’s Harry Styles confessed that he had a fling with a fan! Harry and his 1D boys were promoting their new album Made in the A.M. on The Ellen DeGeneres Show and agreed to play a game of "Never Have I Ever" with the host. When Ellen invited the boys to hold up paddles with "I HAVE NEVER" and "I HAVE" written on them and said, "Never have I ever hooked up with a fan," Styles revealed he had done so by holding up the "I HAVE" side of his prop. As fans in the studio audience started cheering and clapping, the heartthrob joked, "I think mine (paddle) is broken!" LOLZ! "I was kinda like, 'What have I just done to my arm?' he said. "The first thing I thought was, 'How do I get this thing off me?' My mum cried and my dad probably cried a little bit...and I was like, 'This was a bad idea!'" Louis Tomlinson and Niall Horan confessed they had used a bandmate's toothbrush without telling them, and Niall revealed he had been "skinny dipping" in a hotel pool and used to tell fans he was Nick Carter from Backstreet Boys to confuse them. Oh, boys will be boys. Watch the vid below to know more about the naughtiest things One Direction has ever done. Ohhhh, how cheeky.